Volume 1 in the Collector’s Choice Artists’ Monographs from the Friedrich Christian Flick Collection features the work of Canadian artist Rodney Graham as he strolls, via his works, through Modernism. 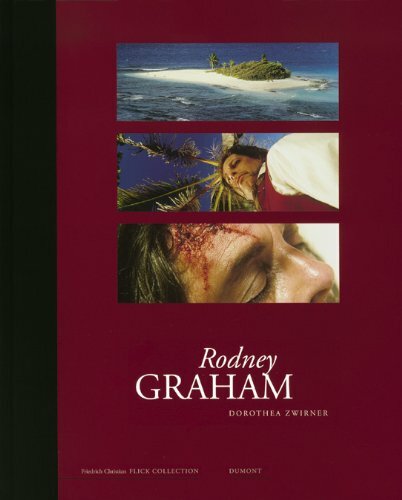 On Graham’s meandering itinerary through photography, literature, music, art, film, psychology, and linguistics, we encounter Richard Wagner, Stéphane Mallarmé, Edgar Allen Poe, Sigmund Freud, and Donald Judd, not to mention the prevalence of cinema and popular music. The contradictions in his work-gravity and play, reverential homage and scenarized self-presentation-show Graham to be a contemporary melancholic. This is the most comprehensive and insightful monograph of the artist’s work to date.